Are you kinda over wearing black, grey, and brown? While it’s common for neutrals to make up the base of our wardrobes, there’s an easy way to change things up. Adding a pop of color here and there makes a big difference, especially during these extra-dreary winter days. We’ll show you how. We totally understand if neutrals are your best friend—they’re a solid way to build a foundation for your closet. And that’s what we’re doing here, too. 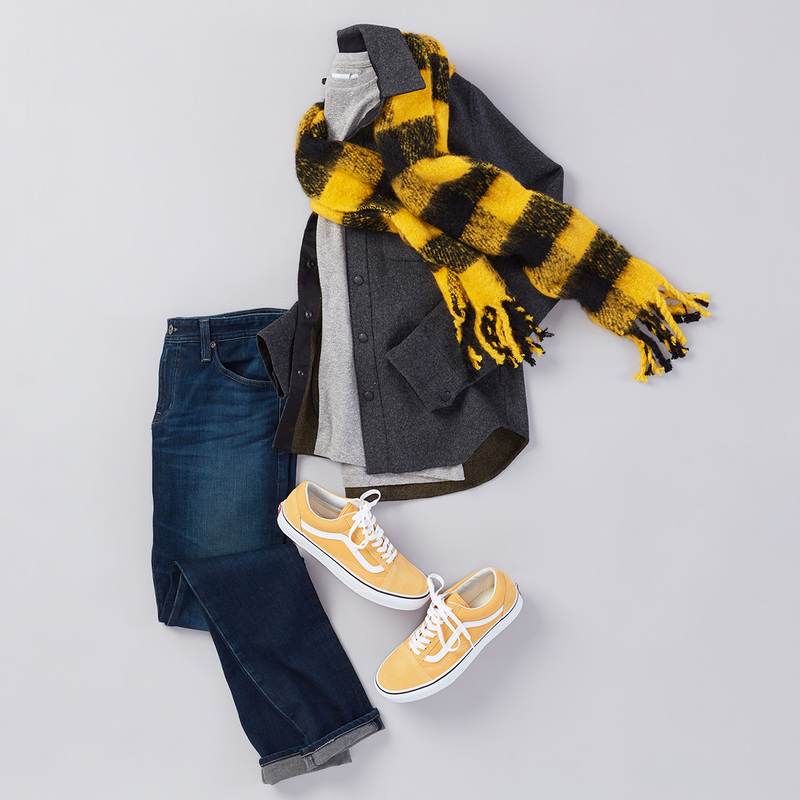 Start with classic staples like a white tee and a tan coat, then add color with socks or a winter beanie. Small accessories like these let you test the waters a bit before jumping into something more focal. Whether you have some already—or have been wanting to grab a pair—colorful sneakers are everywhere. If your Nikes feel too athletic for casual wear, try something laid-back, like Vans or Chucks. 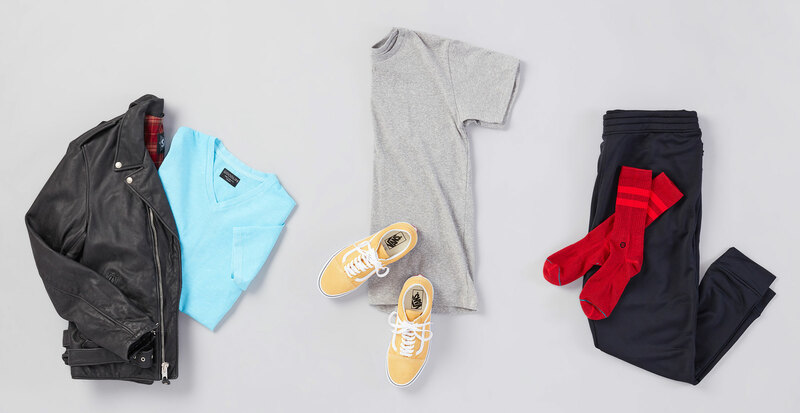 And once you’ve settled on a pair of sneaks, coordinating is easy. Simply match a patterned scarf or hat and you’re all set. Instead of tossing on a white, grey, or black layering tee, go for one in your favorite team’s colors. And this is where you could play with shades, as well. Let’s take the outfit we’re showing here. If your team is rich blue, then a light blue can be worn as a layer. Same goes with the other direction, a darker version of that same color works just as well. And if you have any merch with your team’s logo on them, it’s a good excuse to pull those out. An excellent option for tailgating or watching a game if you’re not a jersey-wearing kind of guy.